For over 50 years the frontier stretched no further than Mars or Mercury. Space travel was protracted, hazardous and expensive. The decaying civilization that had inhabited Mars was to most people an expensive curiosity. The dinosaur infested jungles of Venus but another wilderness for the safari hunters to exploit and the two faces of Mercury did not offer any viable source of income for those who attempted the Enterprise. 1882 was a year of great discovery. Capt. Z. Corcoran flew his experimental æthership "Pinafore" on the first ætheric speed run using a revolutionary Æther drive. The experiment did not go unnoticed by an alien ship that just happened to be within scanning range. First contact with the Vulkans opened the door to British control of the solar system. Vulkans were one of the many refugee races that inhabited the planetary belt that is now the asteroid belt. The Vulkans retained some of the old technology of the forerunner races and helped Britain to refine æther drive technology. This technology developed a practical interplanetary transport. In the following years traffic between the Earth and the colonies of Mars, Venus and Mercury slowly increased. Exploration of the solar system discovered many races and civilizations. Interplanetary commerce was now a reality. Unfortunately so was interplanetary war. A Martian faction in league with expelled German nationalists struck out from their territories on Phobos and started a series of on again off again wars that have endured even to this day. Without a guiding authority for interstellar activities many mistakes were made early on. When the Romlians were discovered on a moon orbiting Neptune another war was touched off due to the assumption that they were another Vulkan outpost. Wars with the Klinkons and Romlians were the impetus to organizing a fleet of ætherships to keep the queen's peace between the planets of the solar system. 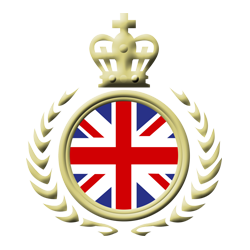 The Royal Æther Fleet (RAF) was established by royal decree in 1974 with the launch of the HMAS Hood. Once the crown had sufficient æther power the Klinkon uprising was suppressed. The Romlians were confined to an area around Neptune. A treaty, signed by hyper luminary heliograph in 1986 established a neutral zone in Neptune's orbital path.